This is the operations hub of the school. All students’ files are kept in this office. Keeping proper documentation is hard work. We have to ensure that all kids have their immunizations and ensure they have received regular medical check ups. Your Child's file must also contain valuable information on allergies, dislikes, fears etc that the teachers consult in caring for your child. We know parents are busy and sometimes forget things, so our handy e-mail reminders will inform you when tuition is due, days when the school might be closed, special events planned by the school and many others things. The system is also used to advise parents on disease alerts so that parents can take preventive action and keep their kids healthy. If parents have any questions or concerns they can e-mail us. At the same time if we have concerns we will give you a handy action plan via e-mail so that you can implement some things at home. 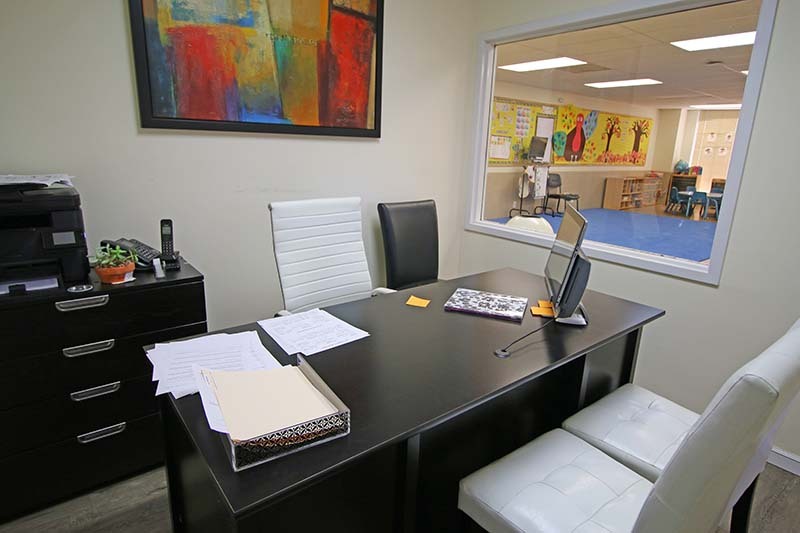 As you enter the school, a see through window looks into the school office, so that parents can check if the Director of the school is busy or available to see them at a glance. The Tuition Drop off box is located in the corridor as you enter the school so parents can drop off their monthly tuition checks.